Shutterstock, Inc. a leading global provider of digital imagery, today introduced a new online marketplace called Skillfeed. The platform reinvents online learning for digital professionals by offering a diverse collection of credible, curated video courses through a simple, affordable subscription plan. 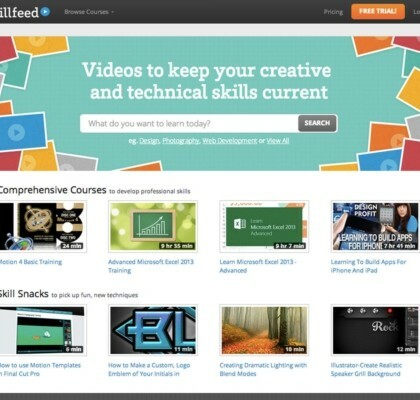 At launch, Skillfeed features more than 10,000 videos from over 100 instructors. “We’re working with top-notch instructors from around the world and curating tutorials ranging from the creative arts, including graphic design, video and photo editing, to professional skills such as Microsoft Excel and web development,” said Vice President and Skillfeed General Manager David Fraga . Comprehensive Courses – Videos of 20 minutes or more, designed to develop in-depth professional skills, such as HTML or Adobe InDesign. Skill Snacks – Short videos you can watch on your lunch break to pick up new tips and techniques on a range of topics from Photoshop to video editing. 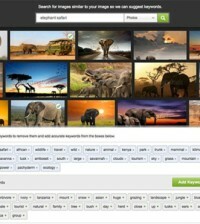 To celebrate the launch, Skillfeed is offering users a free 1-week trial. Subscriptions for unlimited video access start at only $19 per month. 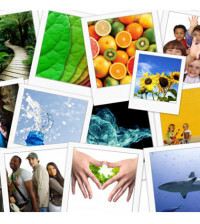 Shutterstock is a leading global provider of high-quality licensed photographs, vectors, illustrations and videos to businesses, marketing agencies and media organizations around the world. Headquartered in New York City, Shutterstock works closely with its growing contributor community of photographers, videographers, illustrators and designers to curate a global marketplace for royalty-free imagery. Shutterstock adds tens of thousands of rights-cleared images each week, and with more than 25 million files currently available, the Company recently surpassed 300 million image downloads. Shutterstock also owns Bigstock, a value-oriented stock media agency.